This week, the Tufts Labor Coalition, in partnership with professors, alumni and other student groups, is working to increase campus awareness around the contract negotiations that our adjunct professors and their union began last Friday with the university administration. We celebrate the adjuncts’ overwhelming support to unionize despite fear of backlash from the university. It took no small amount of courage for our professors to stand up for their rights to a living wage and job security. It was an important victory, but only a first step. This week, we want to remind the Tufts community that continued public support is vital for the success of the adjuncts in their negotiations. The low pay, lack of benefits and fragile job security that our adjunct professors receive is part of a much larger and problematic trend in U.S. higher education. Increasingly, universities are relying on part-time faculty to teach courses in order to cut costs. This policy has been universally embraced, which means young professors have no choice but to accept the low pay and meager benefits. In fact, in order to make a living wage, many of these professors have to work at multiple universities. These effects are felt disproportionately by women, who make up only 43.4 percent of full-time faculty, but constitute 62 percent of part-time faculty. Without an established home at any university and often without departmental support, it must be incredibly taxing for these instructors to dedicate themselves to their students, departments and institutions in the way they have. It is remarkable that, even under these conditions, adjunct professors are so often our most dynamic and inspiring teachers. 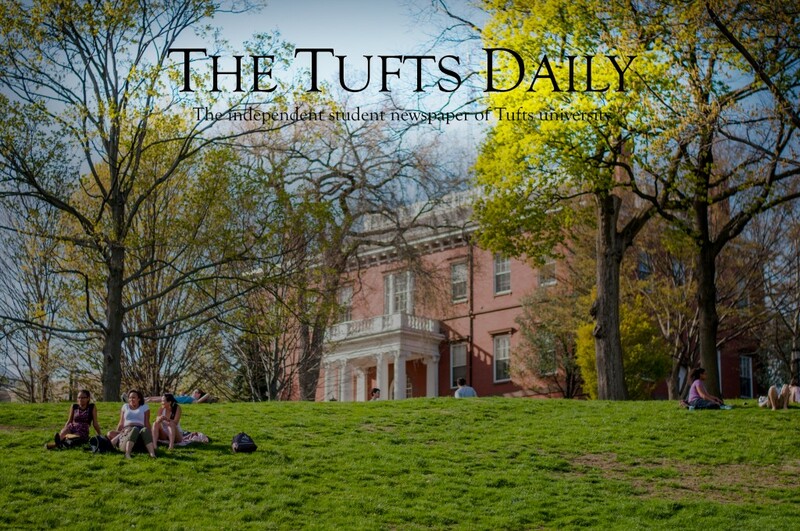 However, on a systemic level, an increased reliance on part-time faculty moves Tufts further away from being the fertile, stable learning community it aims to be. Increased security and resources for adjuncts can only improve the connections, conversations and collaborations amongst students and faculty, which, ultimately, are the purpose of any university. Confusion and misinformation regarding the purpose and methods of unions abounds, and we hope that our campaign last fall in support of the adjunct union helped to clear up some of these misconceptions. We believe simply that the new union is a vehicle for part-time professors to express their concerns and stand on equal footing with the administration. Whatever you may think of unions, the reality is that our professors are now in negotiation with the university. We stand in solidarity with them and urge the university to negotiate with that in mind. As consumers of education at this institution, we have more power than we may think in affecting the university’s decisions. The administration is comfortable with the disapproval of a few students if it considers them outliers. However, if we demonstrate that a large portion of the student body at Tufts cares about our adjunct professors receiving higher pay and better job security, that means something. In 2013, 41 percent of the university’s revenue came from tuition and fees, making students the single most important source of income for the university. What this means is that we are collectively the biggest stakeholders of this institution – and with that comes a right to make demands. Our support for the adjuncts throughout their negotiations will let the university know that their failure to grant the adjuncts a fair contract will be met with a response from the student body. Thank you to all those who have signed the letter to the university in support of the adjunct professors. Thank you to all those who have worn pins, and stickers or have simply talked about the ongoing negotiations with friends. You have all helped immensely to create a campus dialogue around the adjuncts’ negotiations and in doing so you have shown the university that you want to see all professors compensated fairly for the important work they do. We will continue throughout the semester to keep the negotiations visible and transparent, and we appreciate the support so many of you have shown. This week, the Tufts Labor Coalition, in partnership with professors, alumni and other student groups, is working to increase campus awareness around the contract negotiations that our adjunct professors and their union began last Friday with the university administration. We celebrate the adjuncts overwhelming support to unionize despite fear of backlash from the university. It took no small amount of courage for our professors to stand up for their rights to a living wage and job security. It was an important victory, but only a first step. This week, we want to remind the Tufts community that continued public support is vital for the success of the adjuncts in their negotiations. As consumers of education at this institution, we have more power than we may think in affecting the universitys decisions. The administration is comfortable with the disapproval of a few students if it considers them outliers. However, if we demonstrate that a large portion of the student body at Tufts cares about our adjunct professors receiving higher pay and better job security, that means something. In 2013, 41 percent of the universitys revenue came from tuition and fees, making students the single most important source of income for the university. What this means is that we are collectively the biggest stakeholders of this institution  and with that comes a right to make demands. Our support for the adjuncts throughout their negotiations will let the university know that their failure to grant the adjuncts a fair contract will be met with a response from the student body. Thank you to all those who have signed the letter to the university in support of the adjunct professors. Thank you to all those who have worn pins, and stickers or have simply talked about the ongoing negotiations with friends. You have all helped immensely to create a campus dialogue around the adjuncts negotiations and in doing so you have shown the university that you want to see all professors compensated fairly for the important work they do. We will continue throughout the semester to keep the negotiations visible and transparent, and we appreciate the support so many of you have shown.